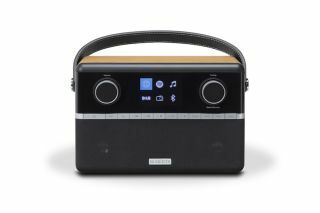 Roberts launches Stream 94i do-it-all DAB radio | What Hi-Fi? The Award-winning Roberts Stream 93i was close to radio perfection, our only criticism was the lack of Bluetooth connectivity. Roberts has addressed that issue with the new Stream 94i, which also brings a refreshed design and new user interface to the party. Besides Bluetooth, the Roberts shares all the same streaming features of its sibling, including internet radio, Spotify Connect, plus the ability to stream audio via DLNA and USB. The inclusion of tone controls and a six position equaliser allow you tweak the audio to taste. The Roberts Stream 94i is available now, priced £200. Our sample is already in the building, so keep your eyes peeled for our full review.